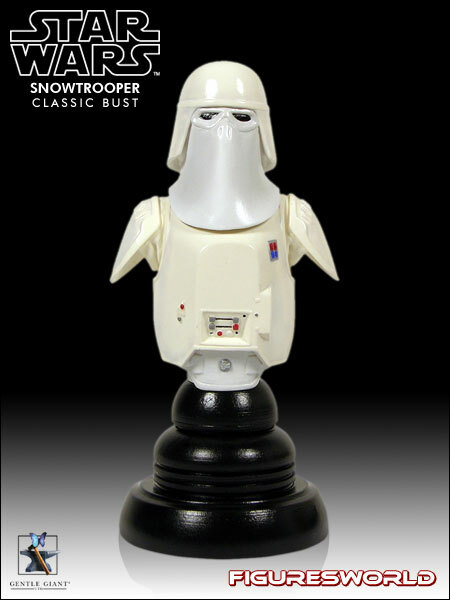 This limited edition bust stands 5 inches tall and comes with a Certificate of Authenticity. Painted and ready to display. Storming through the icy corridors of Echo Base like a heavily-armed blizzard, Imperial snowtroopers stopped at nothing in their effort to conquer the Rebels at Hoth. A specially-trained division of stormtrooper infantry, the snowtroopers wear customized armor well suited to the climate extremes of ice planets such as Hoth.